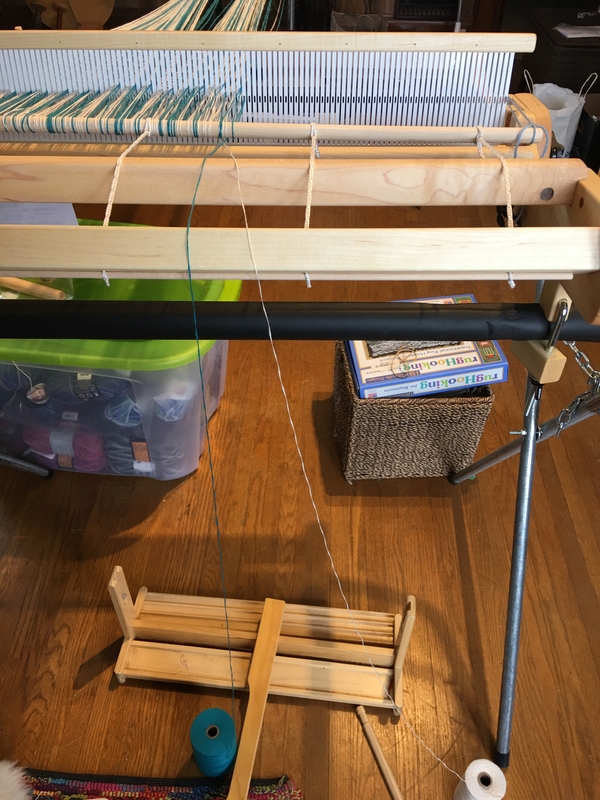 I have a beginning rigid heddle weaving class upcoming class at the Weavers Guild of Greater Cincinnati . 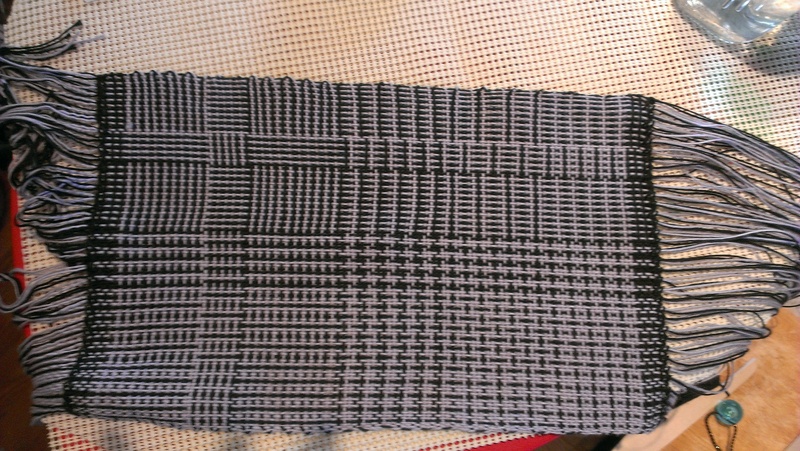 Learn to Weave a Hounstooth Scarf. There is only one space left in the class. 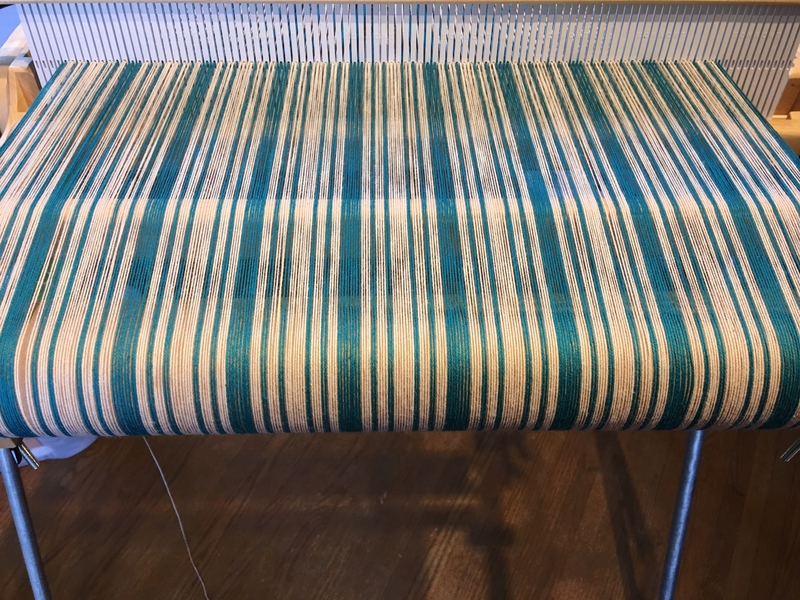 This post is to help the new weavers pick their yarn for the class. 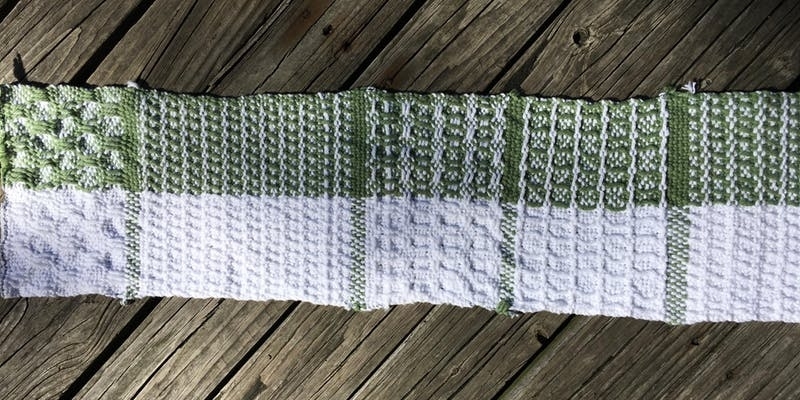 It will also help anyone who wants to make a color and weave effect in a project too. 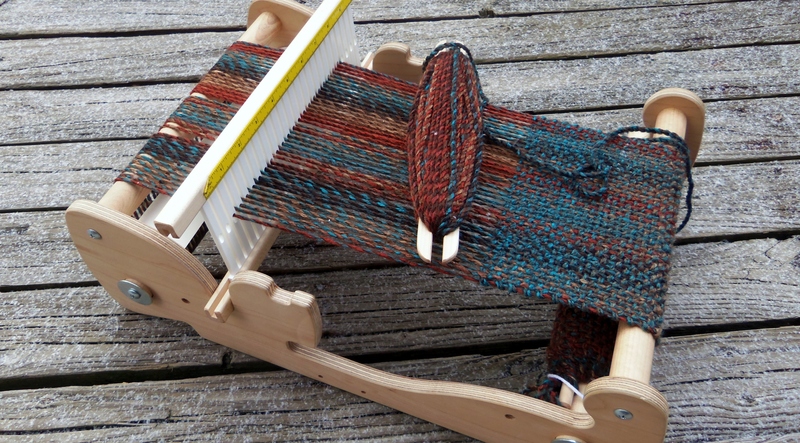 The yarns chosen for class should be a worsted (medium or size 4) weight yarn to use in an 8 dent heddle or a bulky (size 5) weight yarn if you want to use a 5 dent heddle for faster weaving. 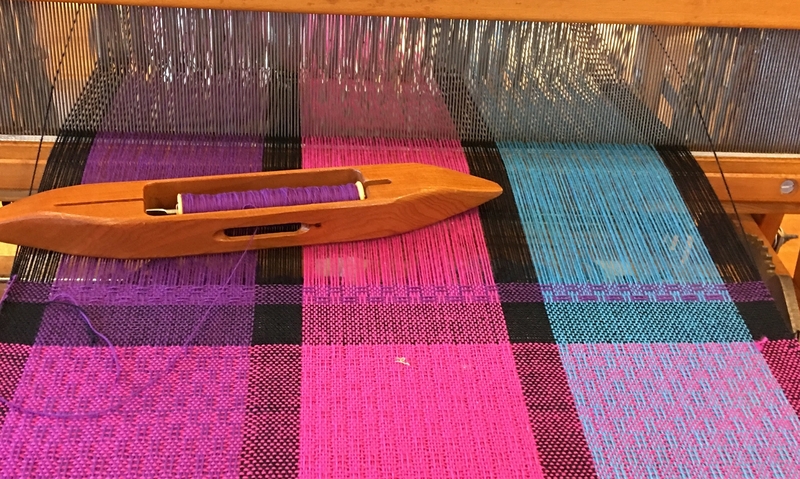 A wool or wool blend (or nice acrylic) is ideal. For a nice size scarf you need one 100 gram ball of each color. Yarn should not be mohair or anything fuzzy or lumpy. 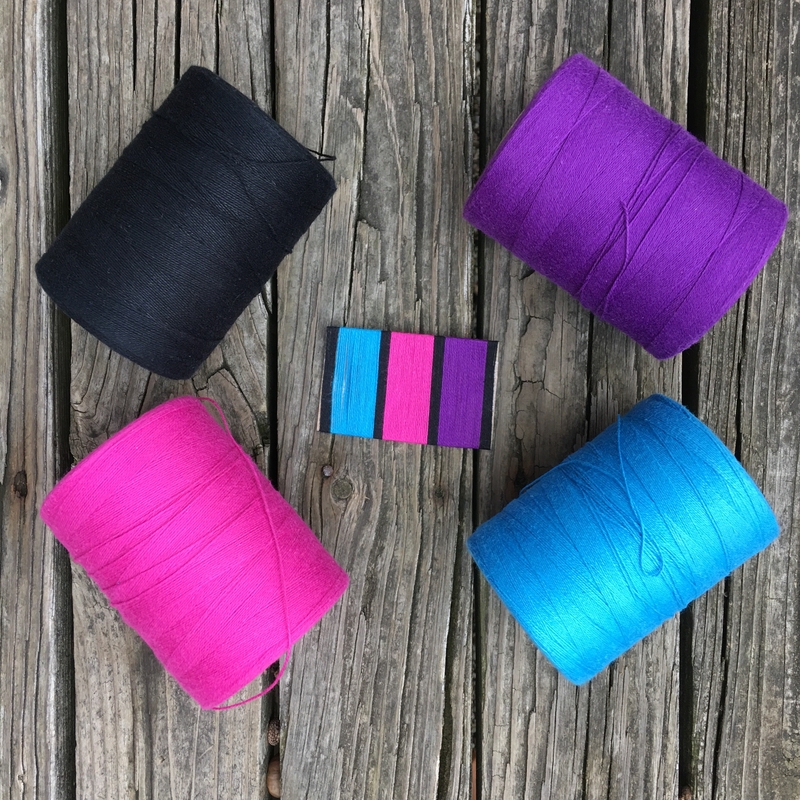 Avoid singles and get a plied yarn. For a houndstooth you need 2 different colors that contrast in value. One should be a dark color and one should be a light color to produce the best effect. 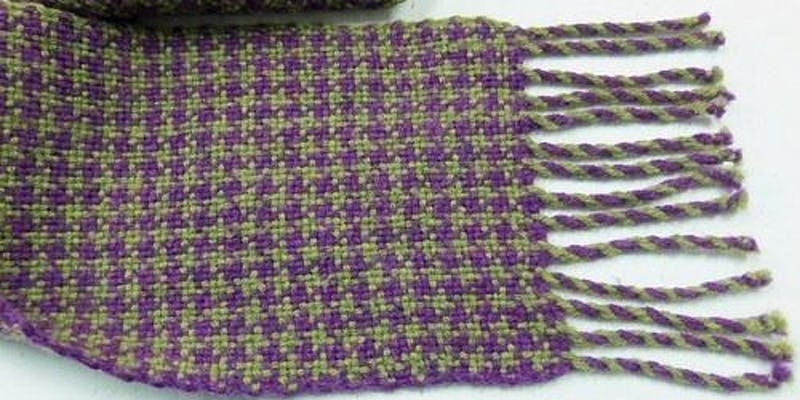 Colors that are close in value can look nice too, only the color and weave effect will be more subtle. I like to take a digital photo and change it to monochrome (black and white) That will show you the difference in value of your yarn. 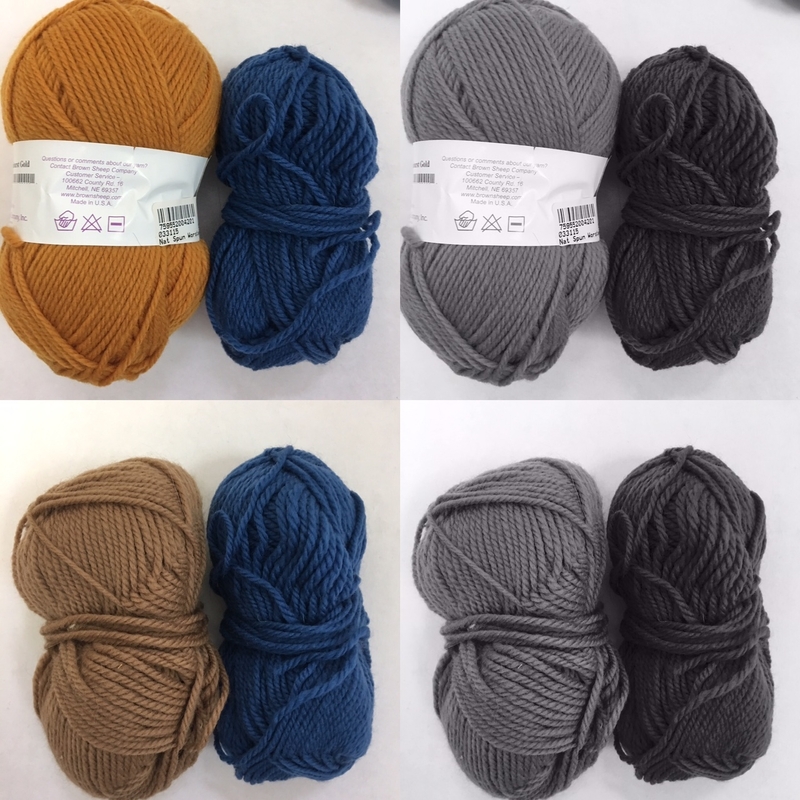 The photo above show some different yarns that are close in value. When you change the color of the one on the left to black and white on the right, they are obviously almost the same in value and look like the same color in monochrome. 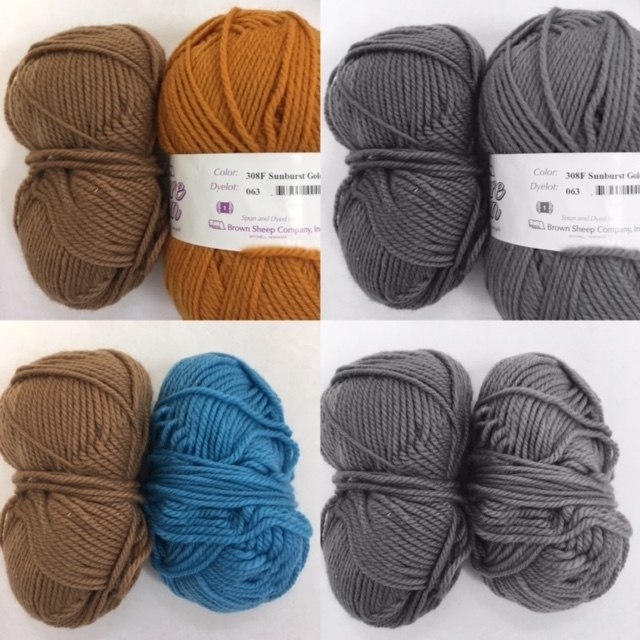 This photo above shows yarns that have a discernible difference in value. You can see in monochrome how much they differ. Wow, long time no post. I enjoyed the Weavers Guild sale and fall retreat in November, traveled to Savannah to visit my cousin in early December and then I have been teaching, creating, selling, helping my mom who broke her hip and have just plain been busy, especially over Christmas, with two of my kids being able to come home for the holidays (two still live at home too). Now everyone is back to school and work and my mom is on the mend so its back to work for me. 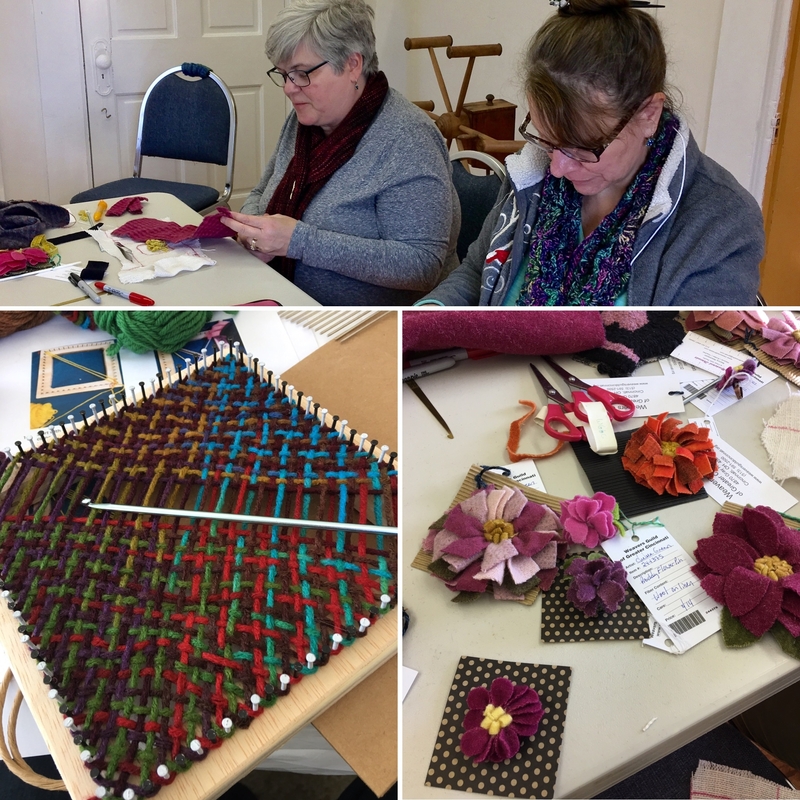 The Weavers Guild held their annual Roc Day event last weekend. Its a great benefit of membership. The mini-classes are all free to members and you can take 2 in the day. I learned how to weave on the bias on a pin loom and created a proddy flower using rug hooking techniques. Both were fund and taught by creative fiber artists who are fellow guild members.